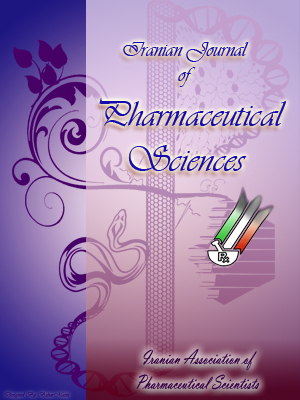 4Medicinal Chemistry Department, School of Pharmacy, Zanjan University of Medical Sciences, Zanjan - Iran. 6Zanjan Metabolic Diseases Research Center, Zanjan University of Medical Sciences, Zanjan-Iran Biotechnology Departments, School of Pharmacy, Zanjan University of Medical Sciences, Zanjan - Iran. Peganum harmala is a plant that is traditionally used as an analgesic, anti-inflammatory, antibacterial, antioxidant, anti-helmintic, and antimutagenic agent. Moreover, it is used to treat a variety of human ailments, including depression. This study was conducted to investigate the antidiabetic activity of hydro alcoholic extract of this herb. A hydro alcoholic extract from seeds of this herb was prepared and administered at three doses of 30, 60 and 120 mg/kg to three groups of streptozotocin-induced diabetic rats. Two additional groups were used as negative (normal saline plus solvent) and positive control (metformin). Blood glucose levels in animals from all groups were measured at 2, 4, and 6 hours after intraperitoneal injection of the extract to rats. Blood glucose levels decreased in the diabetic rats in comparison with normal rats (P < 0.05). Our finding showed that P. harmala seed extract has good antidiabetic activity in streptozotocin-induced diabetic rats. Further studies need to isolate active compounds and to investigate their activity.